Developers need to search and replace strings in multiple files frequently. While there are several combinations of commands, sed, awk etc. to do that, the default Ubuntu repos come with 2 relatively unknown specialized gems to search and replace text in several files at a time. Let’s check them out! 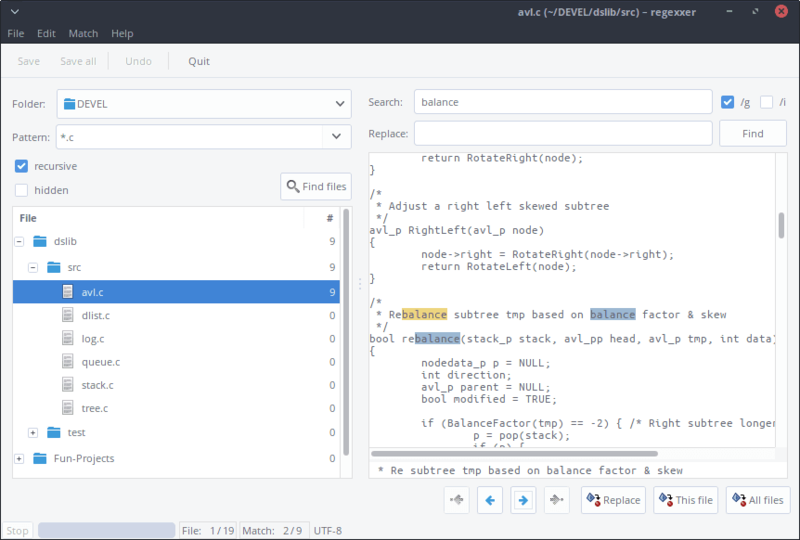 regexxer comes with a clean gui and allows you to search patterns using regular expressions and replace them. The visual workflow is pretty straightforward and it has basic preferences to change font, color etc.